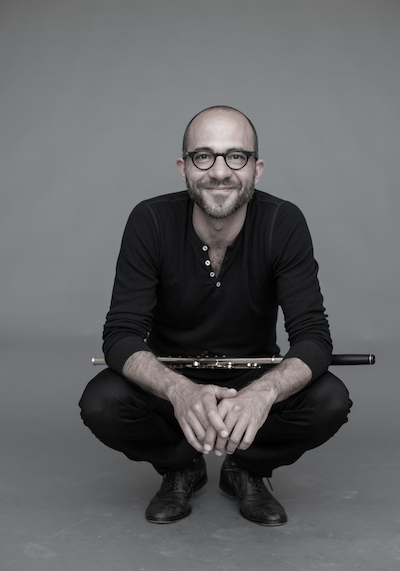 Conductor Alain Altinoglu brought music by his fellow Frenchpeople Debussy and Ravel to his guest appearance with The Cleveland Orchestra last week, along with an intriguing new work by Matthias Pintscher featuring principal flute Joshua Smith. The concert on Saturday, November 10 played to a large audience who may not have been lured to Severance Hall by the U.S. premiere, but who gave the Pintscher work a thoughtful hearing and its soloist a big ovation. Ironically, the composer of Transir for solo flute and orchestra had been the Orchestra’s guest conductor for concerts the week before. Although Matthias Pintscher wasn’t able to hear Smith’s performances of the work, written in 2005-2006 for the principal of the Berlin Philharmonic, he did have the opportunity to work through the score with the soloist during his visit. That meeting obviously paid off, for Joshua Smith’s performance on Saturday sounded completely assured, his command over all of the work’s special effects deeply ingrained into his own technique, and his interaction with the Orchestra easy and comfortable. There are few conventional flute sounds in Transir, so extended techniques are the rule rather than the exception. This could result in something like playing all the ornaments in a musical treatise without linking them to the notes they’re meant to enhance and decorate, but Pintscher is skillful at constructing narratives that have direction and flow no matter what the musical content of the piece. He’s also careful to avoid overusing avant-garde clichés that have become commonplace in contemporary flute music. Most of the work is quiet, sometimes at the risk of disappearing into the ambient sounds of a packed concert hall, but that tended to prick up the ears of the listener and bring special attention to some of the wispier, more evanescent sounds in the 20-minute piece. In contrast, the applause after the performance was warm and enthusiastic. Altinoglu began the evening with his own 20-minute collage of moments from Debussy’s Pelléas and Mélisande, an opera that lasts some three hours, and whose alluring sound colors may still be hanging somewhere around the ceiling of Severance Hall after performances in May of 2017. It made a lovely, short tone poem, even without knowledge of events in the opera. A triptych of popular Ravel pieces closed the concert. Rapsodie espagnole gave duos of clarinets and bassoons some virtuosic licks and English hornist Robert Walters more than one opportunity to shine in winding, lyrical melodies. Pavane for a Dead Princess featured a mellifluous solo by the (unnamed) principal horn, gorgeous wind and string section playing, and elegant harp transitions, before suddenly segueing into the snare drum solo that unmistakably announces the ballet piece the composer described as a 17-minute crescendo. It’s easy to make fun of Boléro, but it’s really a masterpiece of compositional pacing and orchestral color, and gives a number of instrumental soloists the near-equivalent of jazz breaks to show off their powers of melodic expression. Principal percussion Marc Damoulakis was machine-like and untiring as the variations unfolded, and among the many arresting sonorities were the end-to-end tenor and soprano saxophone solos by Steven Banks. 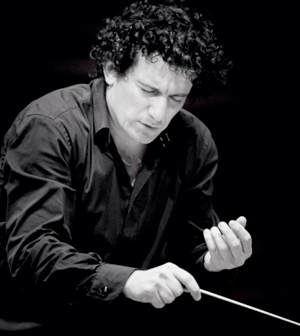 Far from treating this Boléro as just another performance of an old warhorse, Alain Altinoglu lovingly massaged the piece and shaped its progress, giving the soloists abundant permission to bloom. And cagy Ravel knew just when to jerk the piece into a new key for a few bars before bringing it home amid a din of wailing trombones. Did the audience love it? Bien sûr! Published on ClevelandClassical.com November 15, 2018.